Maine Medical Center, the state's largest hospital and a facility in the MaineHealth system. PORTLAND, Maine — MaineHealth, the largest health care system in the state, is moving forward with a proposal to consolidate all member hospitals under a single authority, a move that has the potential to affect hundreds of thousands of Mainers. Nine of MaineHealth’s 10 hospital groups have voted to keep exploring consolidation and to bring the proposal to their communities for discussion, MaineHealth officials announced Thursday. The 10th hospital member is based in New Hampshire and won’t vote until July because of the regulatory process in that state. The proposal will be the focus of community forums throughout the area. If the plan is formally approved by local hospital boards this fall, those boards will relinquish budget oversight and governing authority to MaineHealth in Portland in 2018. In return, under the current proposal, each hospital group would get at least one representative on the MaineHealth board, but that’s guaranteed only for the first five years. Local boards would keep some authority, including the ability to fundraise, discipline doctors and oversee patient care. They would also maintain “a defined role” in budgeting, planning and hiring key executives. MaineHealth members include Western Maine Health, which owns Stephens Memorial Hospital in Norway, and the Franklin Community Health Network, which owns Franklin Memorial Hospital in Farmington. MaineHealth’s flagship is Maine Medical Center in Portland. The proposal does not affect affiliate hospitals that are not full members, such as the St. Mary’s Health System in Lewiston. MaineHealth announced in December it wanted to combine its members into a single, $2 billion organization overseen by one board. Right now, hospitals are largely run by their own boards and ultimately are responsible for how and where they spend their money. The current system “inhibits the ability for MaineHealth to deploy assets to other community hospitals like ours, even if they want to,” Timothy Churchill, president of Western Maine Health and interim CEO of Franklin Community Health Network, said. 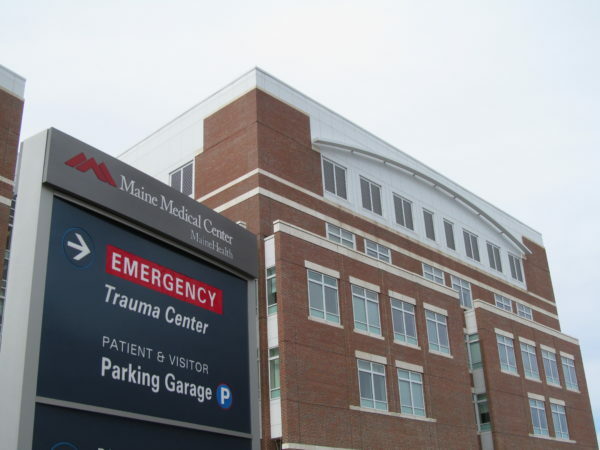 Last year, about half of MaineHealth’s hospitals, including Franklin Memorial, lost money. The other half, including Stephens Memorial, made money. MaineHealth officials say members need to unite under one authority because it would create a single, well-funded system that could move everyone in the same direction and better respond to rapid changes in health care. When the idea of consolidation was publicly announced in December, it fueled concerns about loss of local control, especially among people at Franklin Community Health Network, which joined MaineHealth just two years ago and had considered local control essential at the time. Boothby said this week that most of his board members see the proposal as an opportunity. Local boards have spent months discussing the proposal and meeting with MaineHealth officials. They began voting last month about whether to move forward or stop the conversation. Franklin Community Health Network’s board voted last month to move forward. Only one person was opposed. Western Maine Health’s board voted Wednesday night to move forward. It was unanimous. “By putting the strong financial backing of MaineHealth behind us, with resources behind our organization in a formal way, it greatly strengthens our ability to navigate these difficult waters,” Patricia Weigel, chairwoman of the board, said. Hospitals will now host community forums to get public input about the proposal. MaineHealth officials said the plan could change based on that feedback. Stephens Memorial is scheduled to host a forum from 5 to 6:30 p.m. on June 28. Franklin Memorial is scheduled to host a forum from 5:30 p.m. to 7 p.m. on July 11.